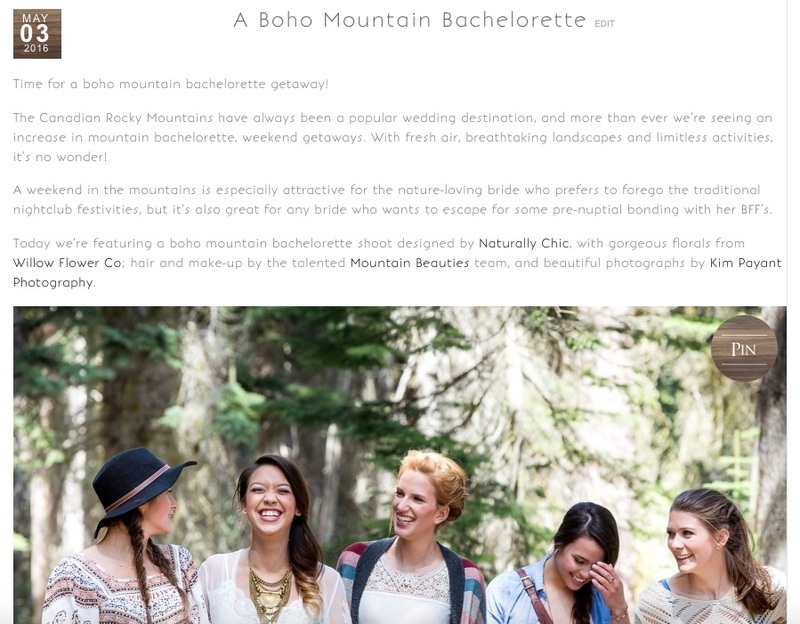 Our Boho Mountain Bachelorette is featured on Canadian Mountain Chic! If you’re planning a bachelorette in the Canadian Rocky Mountains, this one is loaded with steal-worthy ideas! Naturally Chic is featured along with Willow Flower Co.; Kim Payant Photography and Mountain Beauties for this Bachelorette styled inspiration at the gorgeous Emerald Lake Lodge. Pop on over to Canadian Mountain Chic to check out all the fun! For more information on planning your Canadian Rocky Mountain Bachelorette or for bachelorette ideas, and wedding planning contact Naturally Chic | hello@naturallychic.ca. Naturally Chic plans beautiful and personalized weddings in the Canadian Rocky Mountain areas of Banff, Canmore, Lake Louise, Jasper, Fernie, Invermere, Radium and beyond.